Westfield Sydney although a relatively new shopping centre has become an established hub for great restaurants and eateries with lots of good venues scattered on Level 5 and 6. Despite the struggles that some of the more upper tier restaurants have had in the past there are a number of popular cheaper eateries which have been there almost since the Level 5 food court was opened, Becasse Bakery and Charlie & Co Burgers being two of them are now part of the successful Jones The Grocer group. 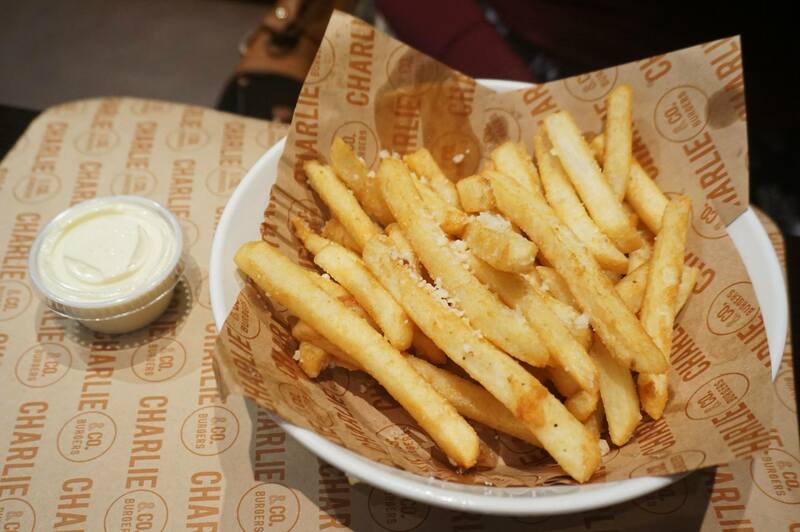 Charlie & Co have always been famous for their fries and onion rings, there was no way we could visit and not have a taste of the parmesan and truffle fries which ended up being one of the best sides we’ve ever had. The extremely crispy fries have a fragrant truffle smell and taste amazing with the parmesan cheese on top. 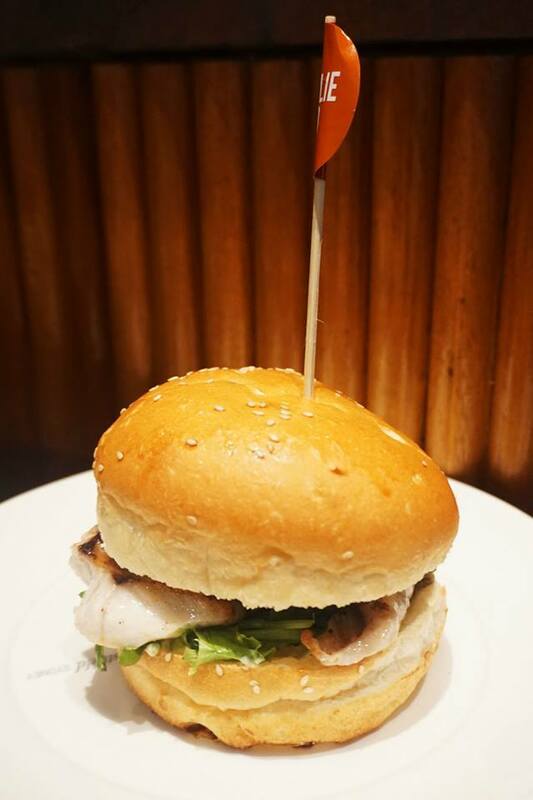 I’ve always wanted something different and not just the usual beef/chicken burger, so this time round I went with the fish of the day burger. I was expecting a fried piece of fish and smothered with mayo, but instead, we were presented with a decent quality fish you might see at a fine dining restaurant served in between the buns! The texture is quite nice because it’s a genuine piece of fresh fish and went perfect with the sauce. I was tempted to just eat the fish alone because I love seafood! A quick skim of the very concise menu ended with Mr C deciding on the Mighty Charlie Burger (above) which is basically the biggest and baddest burger on offer. 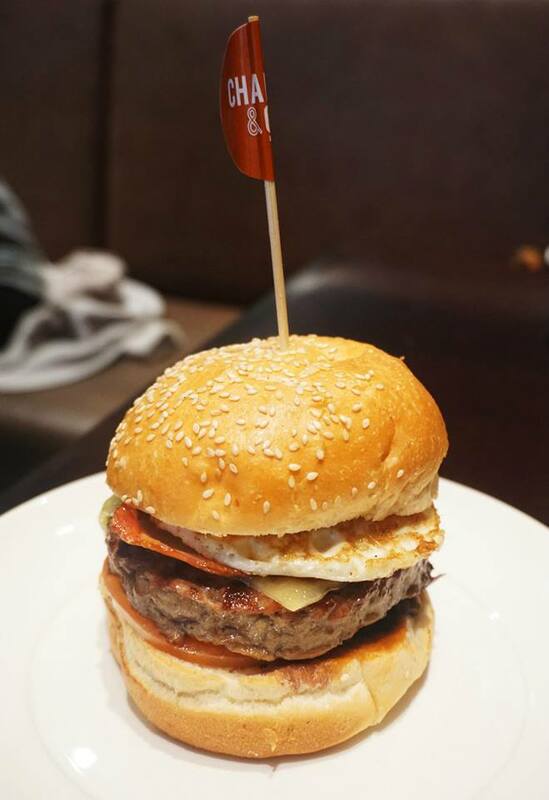 We both loved pretty much every ingredient they picked so it was an easy decision for him, Mr C is usually skeptical about the Wagyu beef used in burgers in Australia but I enjoyed the tasty patty when it was served alongside the egg, bacon, onion and aioli. 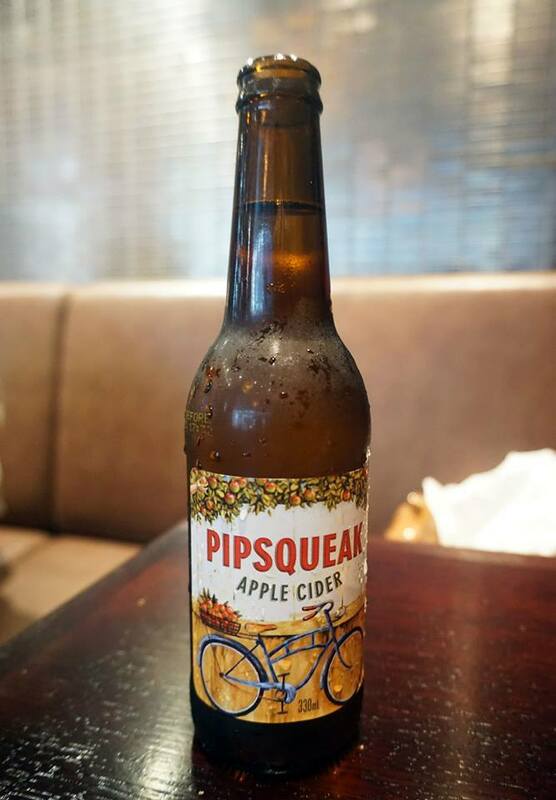 It was also a really warm day so Mr C decided to pick a refreshing apple cider which I thought was really nice – I was a little surprised to see that Charlie & Co are actually a licensed venue within the food court! Sydney seems to have a new found love for burgers which lots of venues opening up around the city, Charlie & Co is one of the more ‘premium’ burger venues with top ingredients to match. 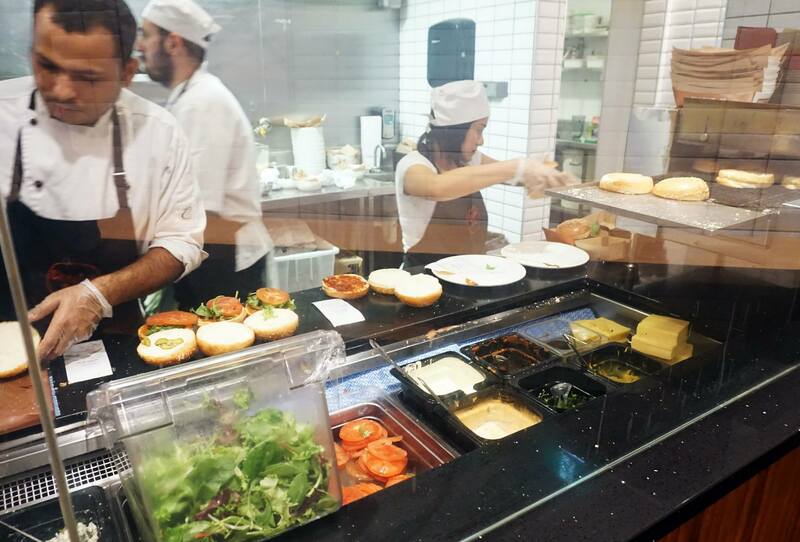 Definitely worth a try if you’re a big fan of burgers, you can even watch them prepare the burgers in the huge glass window as you line up! Mr C and Miss K attended as guests of Charlie & Co Burgers and Jones the Grocer group. All views and opinions expressed are our own. 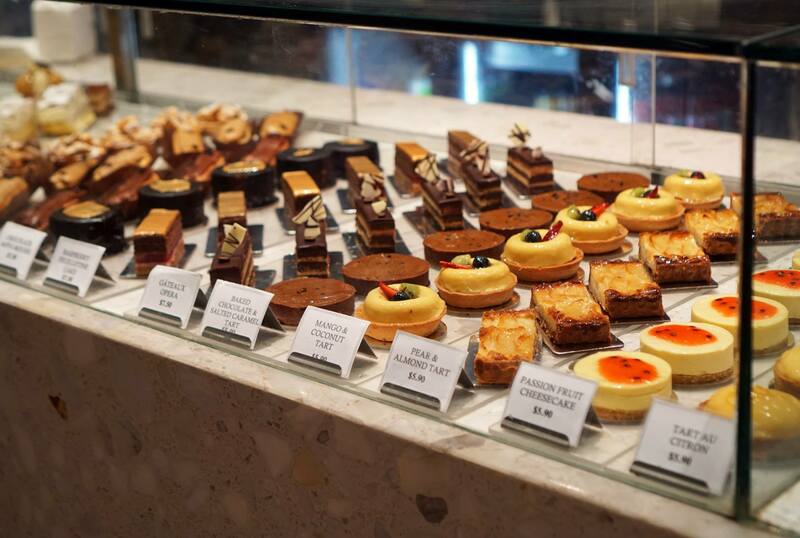 A few weeks later Mr C and I visited Becasse Bakery to check out their offerings – we constantly walk past the bakery when we’re in Westfield Sydney and they’re usually quite busy? 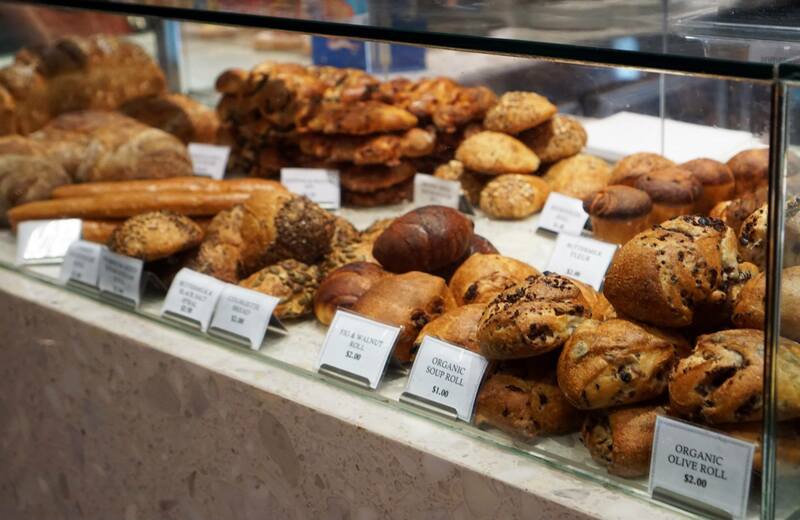 The bakery sits right opposite Jones the Grocer and they stock a huge variety of pastries, sweets and breads. 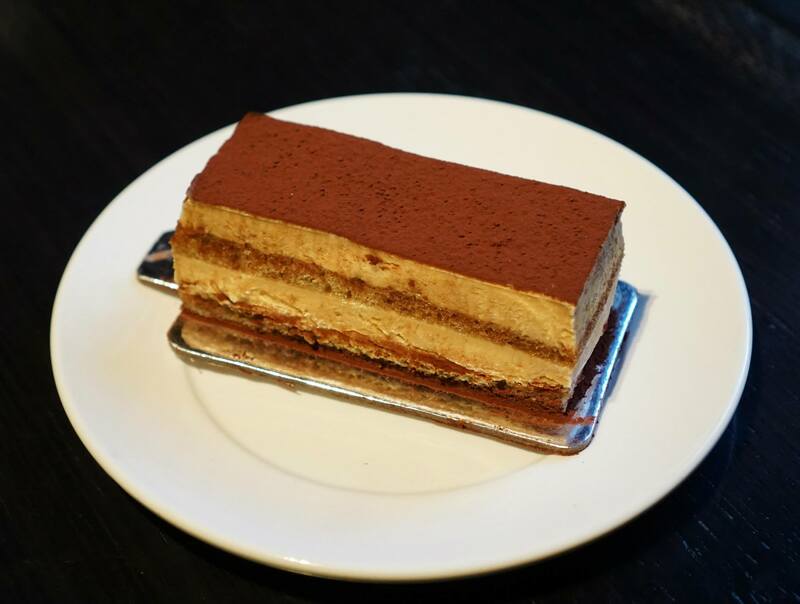 Honestly, how can you not order a tiramisu in any fancy bakery. It was my regret for eating this last because I had all the pastries beforehand and was quite full but I still made room for this baby! 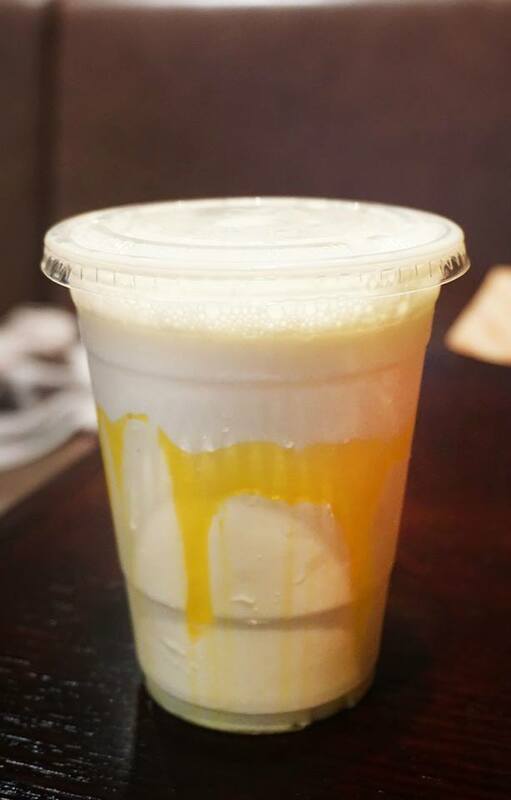 It was smooth, creamy and soft with a great amount of coffee flavour and texture – just love it. 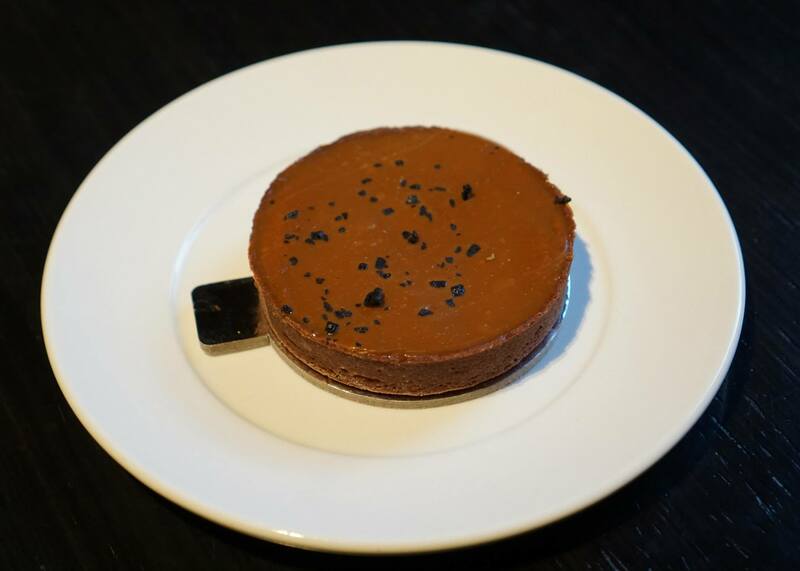 A very cute and perfectly rounded tart. The flavour was very strong and a good choice it was made thin as it’s really filling and quite powerful, a bigger serving might be a little bit hard to stomach in one go. 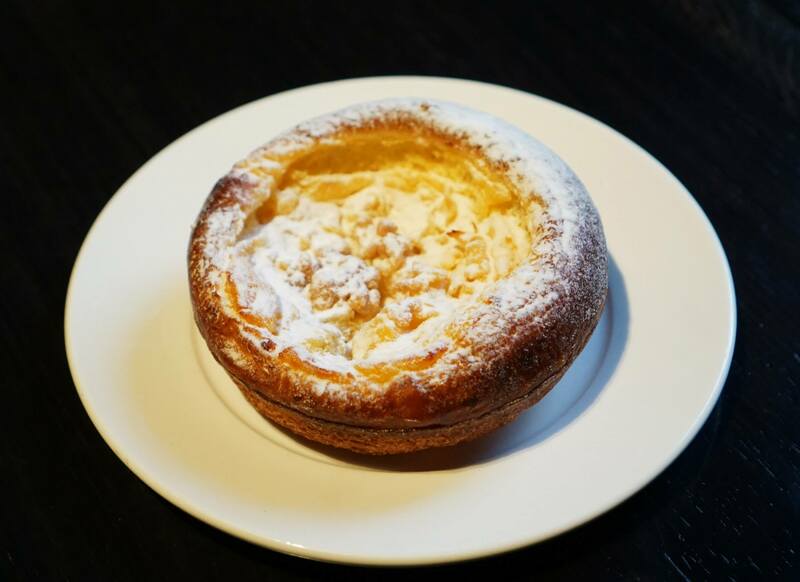 My second anticipated patisserie – any form of apricot pastry. Everytime I walk past Becasse, my eyes are glued to this unique and appealing pastry. I had an impression it would be a very fluffy pastry but rather it has a dry crunchy texture, sprinkled with cinnamon. The presentation of this pastry is so perfect, it even looks a little bit like a quiche. We were very lucky to get a hold of this because it was the last one available for sale by around the 1:30pm lunch peak! Cheese lovers – this is a must order at Becasse. Definitely not the most healthy dish but it tastes great and is one of the best savoury pastries on offer. Becasse Bakery also do a number of different wraps, we wanted to try one of the more unique ones (others were more standard) and see what the Reuben baguette tasted like. 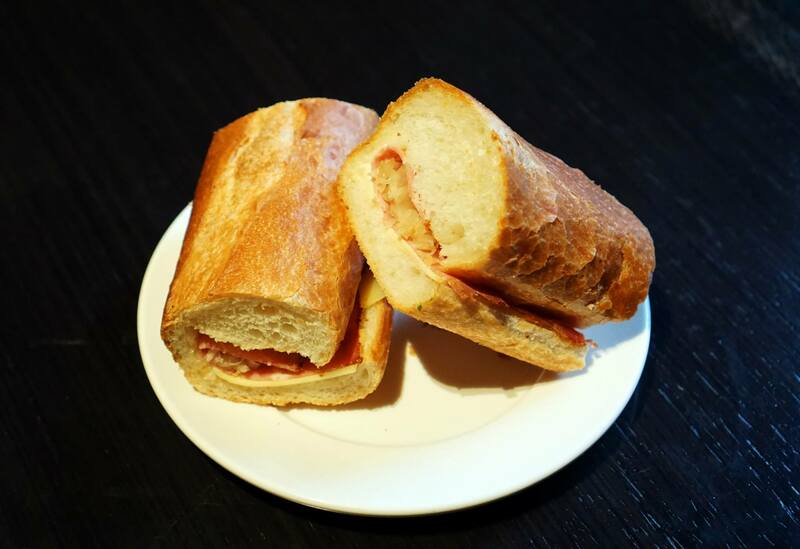 I have to admit I prefer reubens in a sandwich because the fillings are more important that the bread to me, but either way it was a great tasting and freshly baked baguette which was a lot more filling than we expected. 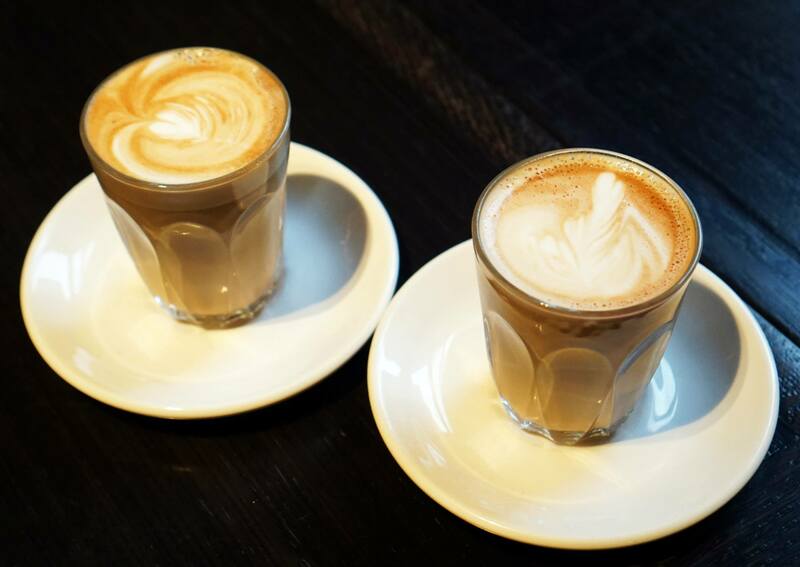 And of course we had to try the coffee – surprisingly good according to Mr C who is the coffee fanatic, he usually is very critical of coffees but really enjoyed this one without sugar because he said it tasted smooth. 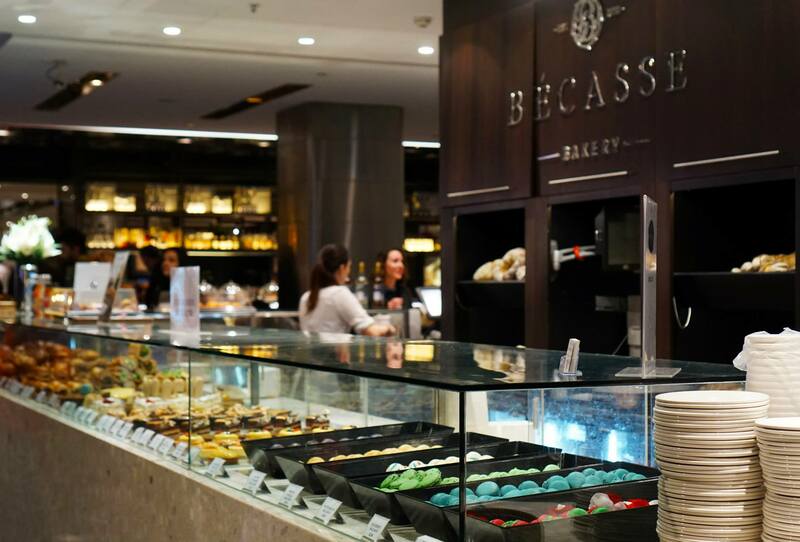 As you can see Becasse is well presented and anyone walking past would be hard pressed to not buy anything, they have a selection of macarons on offer which looked really nice (watermelon!?). I don’t think there was any standout dish per se but the bakery overall is quite nice and a great spot for a quick lunch if you’re nearby or happen to work in the area. Mr C and Miss K attended as guests of Becasse and Jones the Grocer group. All views and opinions expressed are our own. 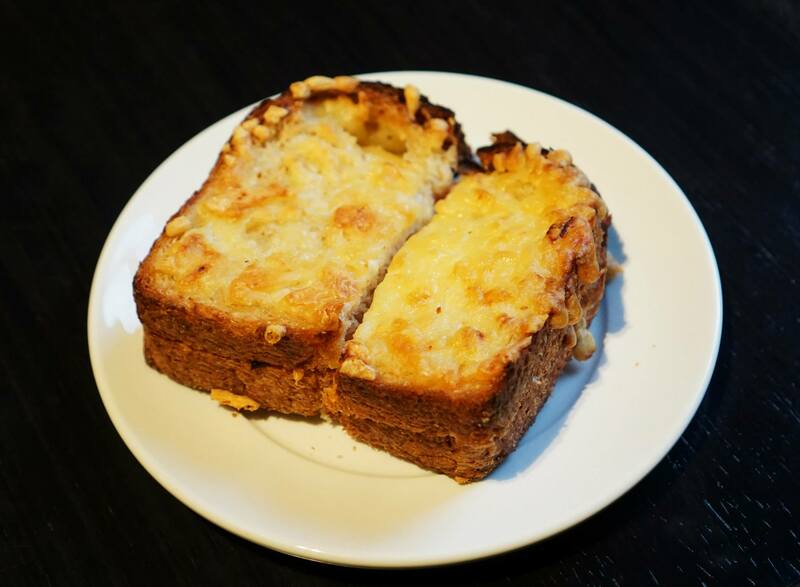 Croque monsieurs are so good in winter aren’t they!